The new Xbox One update is dropping today, and it's a biggy. While we'll be getting an improved dashboard and faster navigation, backwards compatibility is easily the biggest new feature, making it possible to play 104 Xbox 360 games on the One console - and with more to be added each month. Backwards compatibility is one of Xbox One's big wins over the PS4, which remains staunchly forward-looking and only lets users play old games via its paid subscription service PlayStation Now. So how come the Xbox One has the feature and the PS4 doesn't? In some ways, even Microsoft is surprised. 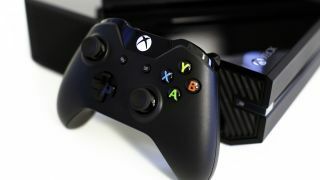 "I'll be honest with you, at the beginning we said it was impossible - but we hadn't tried," Xbox UK Marketing Director Harvey Eagle told techradar. "And when it became the number one feature that fans were requesting, Phil instructed the engineering teams to try to solve the impossible, and they came back with this solution." An Xbox spokesperson also told us that a member of the team had gone to Phil Spencer and told him that he had found a way of making backwards compatibility happen. "[Spencer] told him to go away and make it happen and that's how it happened," the spokesperson said. Eagle also added that he believes the Xbox One has done a lot to win back the hearts of gamers who were put off by the bungled launch back in 2013. "I think we've made great strides in the last couple of years," he said. "I feel like we're in a good place. I feel like we have good momentum at the moment."